An east London worship centre for Shia Muslims failed to properly consult members about plans to sell its premises in order to move into a new building four miles away, the Charity Commission has found. 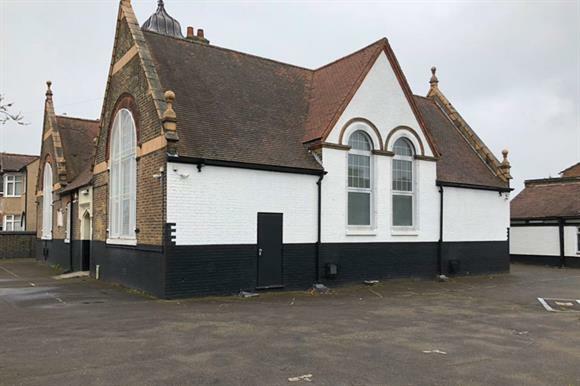 A case report published by the regulator today says the commission was contacted by people concerned about Imamia Mission London’s proposal to sell its building in Newham, where it has been since 1985, and relocate to Ilford. Demonstrators protested outside the commission’s London office and handed in a petition against the move, but trustees argued there were safety concerns about the Newham building and it was too small for current use, according to the commission’s report. The report says protesters alleged that there had been financial irregularity in the sale of the property, which could be worth more than £1.3m, and the trustees would be making a personal gain. It adds that concerns were also raised about how the charity runs its elections and restrictions on membership. The commission found no evidence of financial irregularity or that the trustees would benefit from the sale. The report says it did not have any concerns about elections. But it says the charity had not adequately taken members' views into account. "The trustees had clearly failed to properly communicate and consult with members of the charity or beneficiaries about the relocation," the report says. "Attempts to inform the community, such as notices after Friday prayers, were insufficient, thereby exposing the charity to the possibility of reputational damage." The report says the commission would have expected the trustees to consider the impact of the move on members, but there had been "a concerning lack of evidence of proper planning" and trustees had failed to produce a proper business plan for the proposed move. The regulator says it did not find anything that would prevent the charity from selling the building, but trustees should make sure that any beneficiaries who will struggle to travel to the new mosque are catered for, for example by providing transport. It says it agreed with trustees that any surplus proceeds from the sale should be used to redevelop the new property. "We will be closely monitoring compliance with the advice and guidance given," the report says. "Any further disputes that arise due to a failure to comply with trustee duties may result in more serious regulatory action." A spokesman for the charity told Third Sector: "We do not accept that members were not sufficiently informed. "Members and other visitors to the charity were fully aware of the proposal of relocation for many years and were invited to give ideas and recommendations of any suitable premises." He said that Stephen Timms, the Labour MP for East Ham, and a Newham Council planning officer had addressed a large crowd of members and guests at the premises to explain its unsuitability and the need to relocate. "It is unfair to suggest the committee did not consider the beneficiaries as a factor," he said. The committee decision was based solely on their benefit, in particular the disabled and elderly, women and children, who had next to no facilities in the old premises," he said. He said he also believed many of those opposed to the move had not been members and were motivated by personal grudges.